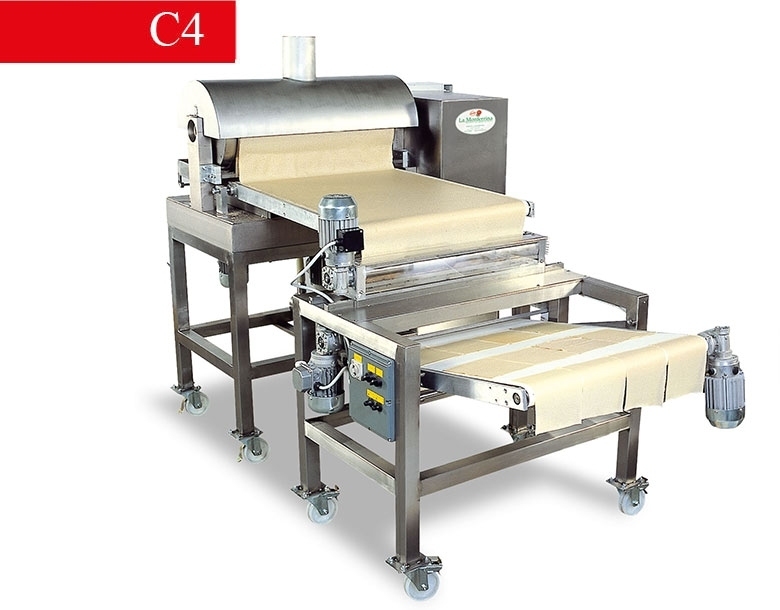 Model C4 is a machine for production of a strip of crepes having a width of mm. 640, aimed at fresh pasta laboratories looking for high outputs. The machine is equipped with a 50 litres capacity batter tank and the product is transported to the machine through a dosing pump.